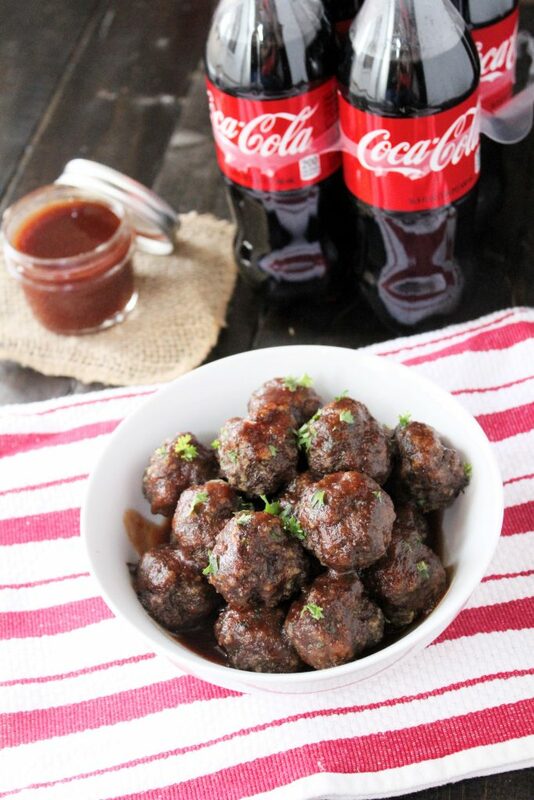 Homemade meatballs paired with a sweet BBQ sauce made with Coca-Cola and Cranberry Sauce makes the perfect combination for your game-day eats. Football playoff season is upon us. This has to be one of my most favorite times of the year. Watching the games with friends and family. Having tons of great food and drinks to watch every game. It really doesn’t get much better than that. This past weekend my football team was in the mix so of course I had to make some treats to share with everyone to watch the game. Once I decided what was on the menu, I headed straight for Dollar General to pick up ingredients and supplies for my little get-together. You can get groceries, toiletries, supplies and pretty much anything you could want in one location at Dollar General. 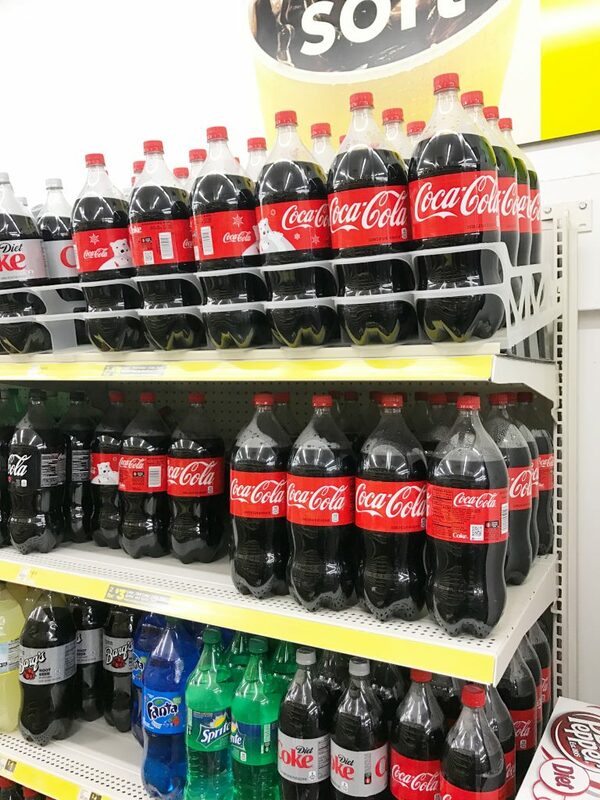 One thing you can always find in my refrigerator is Coca-Cola. For as long as I can remember, our house has been a Coca-Cola house. So when I decided to make homemade meatballs, I knew I wanted to add a BBQ sauce to it and incorporate my favorite drink. A homemade BBQ sauce. To add a bit of sweetness, I poured in some Coca-Cola and cranberry sauce. At first taste I was hooked on this sauce. I was glad this recipe made a lot because I bottled some up to give to a couple of coworkers who I knew would love it too. 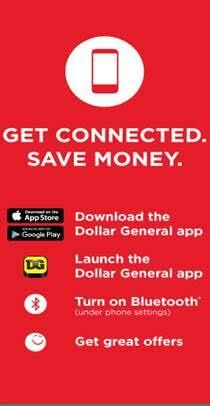 If you’re like me and you like coupons, you will want to download the Dollar General app to get your coupons directly on your phone! It’s simple to use plus who doesn’t love saving money! Need inspiration for your game day party? You can find some here. And be sure and snap a pic of your best game day celebrations and post to Twitter or Instagram with the hashtag #DGUnitedByFootball. And please don’t ask me if my team won. We’ll get them next year! In a medium mixing bowl, add beef, bread crumbs, egg and spices. Mix together. Form into 1 1/2 inch balls. Place on a parchment covered baking sheet. Bake in oven for 10 minutes. Rotate baking sheet and cook for additional 5-7 minutes until beef is cooked through. While meatballs are baking, add all BBQ sauce ingredients to medium saucepan. Bring to a boil, stirring occasionally. Reduce heat to a simmer and let cook for 15-20 minutes, until sauce thickens slightly. Serve sauce over meatballs. Store remaining sauce in covered container in refrigerator. 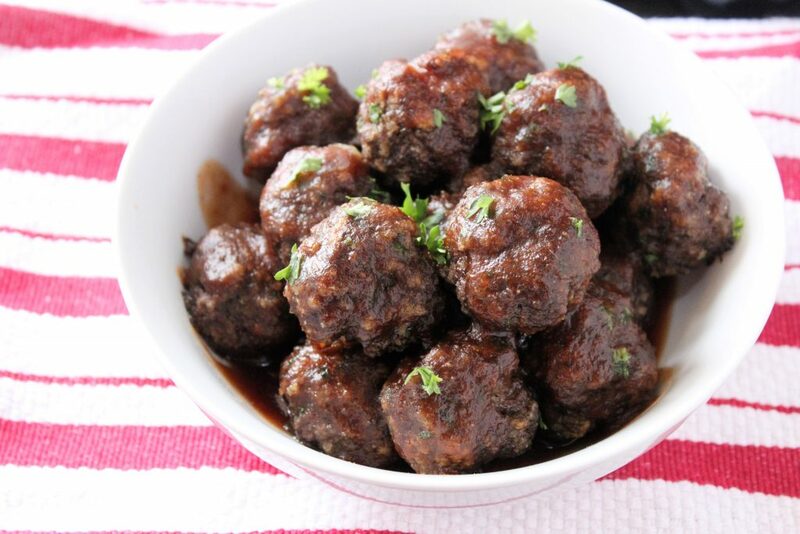 Oohhh I love meatballs and have left over cranberry sauce right now so I'll definitely need to make this recipe!